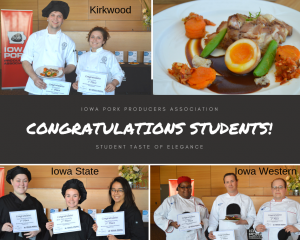 The Iowa Pork Producers Association annually holds Pork Checkoff-funded culinary contests to inspire innovative and exciting ways to menu pork. 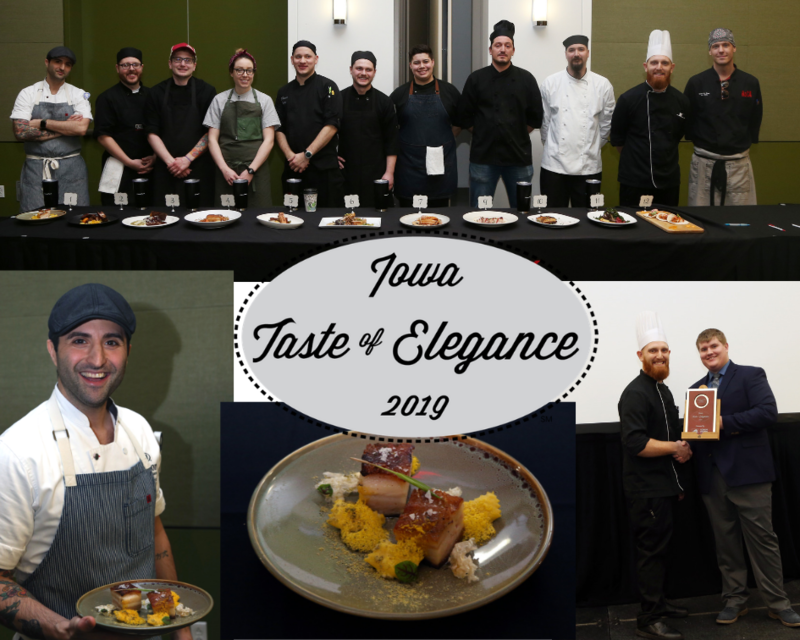 These events bring together talented chefs from across Iowa for an elegant occasion that highlights pork and its popularity as a menu favorite. 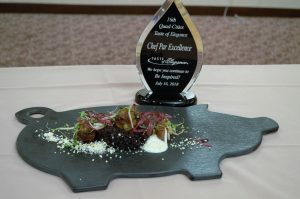 The top chefs earn cash and prizes for their creations. 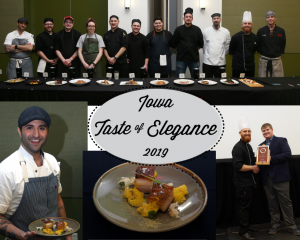 The Iowa Pork Taste of Elegance was held in January and IPPA held a similar event in early March for culinary students from Iowa colleges and universities. 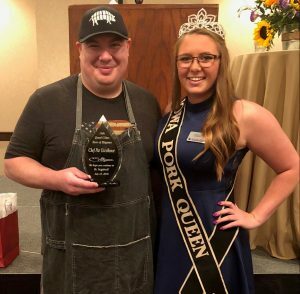 The association also partners each year with the Scott County Pork Producers and Illinois Pork Producers Association to hold the Quad Cities Taste of Elegance in Bettendorf in July. 1st Place team was “Big Grove” from Kirkwood Community College. Those students were Maiah Johanningmeier and Richard Byrd. They prepared Dashi Sous Vide Pork Belly with Sweet Potato Pave, Homemade Kimichi, Marinated Egg, Chicharron and Satay Sauce. 2nd Place team was “Nice to Meat You” from Iowa State University. Those students were Cristina Franco-Olvera, Anna Sullivan and Sara Siebrecht. 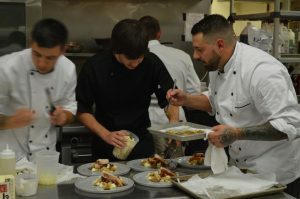 They prepared Crispy Herb-Braised Pork Belly with Leek Ricotta Cream, Acorn Squash Fries and Fib-Cabernet Reduction. 3rd Place team was “Reivers with Cleavers” from Iowa Western Community College. Those students were Brent Gallaher, Marie Chocolate and Clayton West. They prepared Slow Roasted Southern Style Pork Belly.